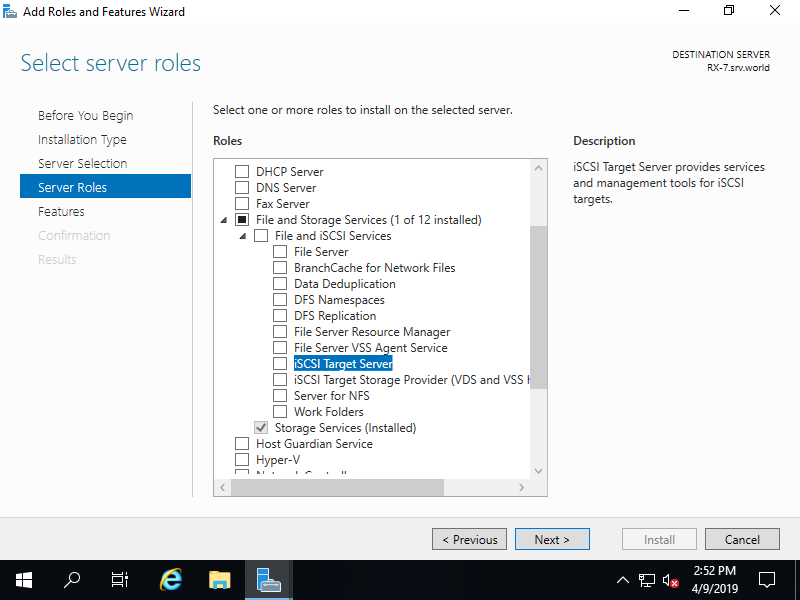 Install iSCSI Target to configure Storage Server. 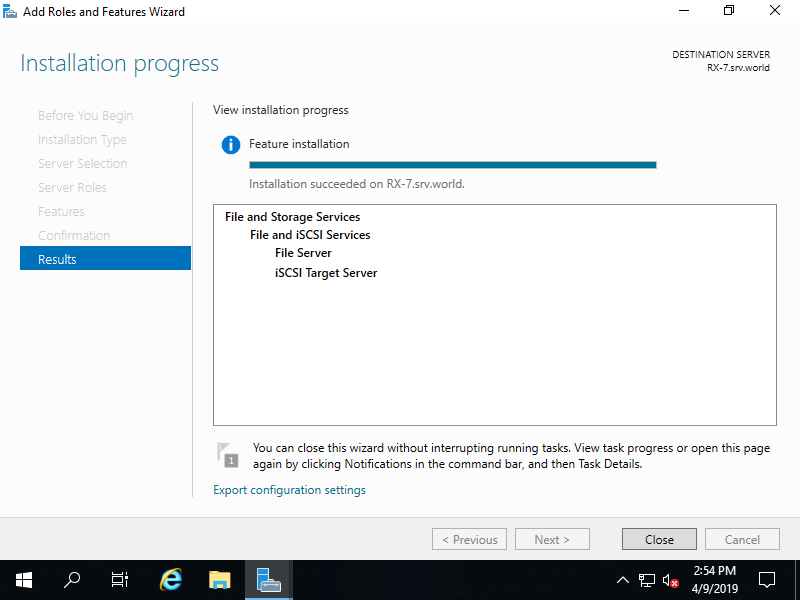 A storage on a network is called iSCSI Target, a Client that connects to iSCSI Target is called iSCSI Initiator. 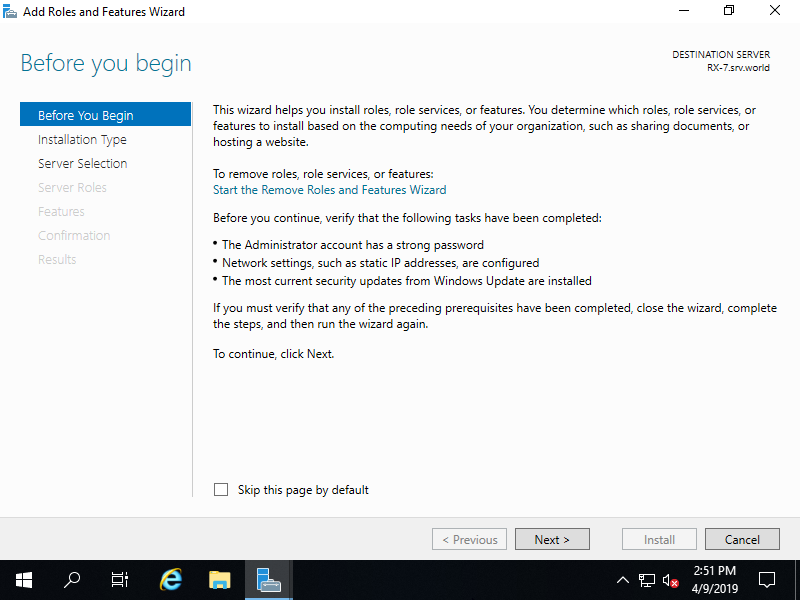 On CUI installation, Set like follows. 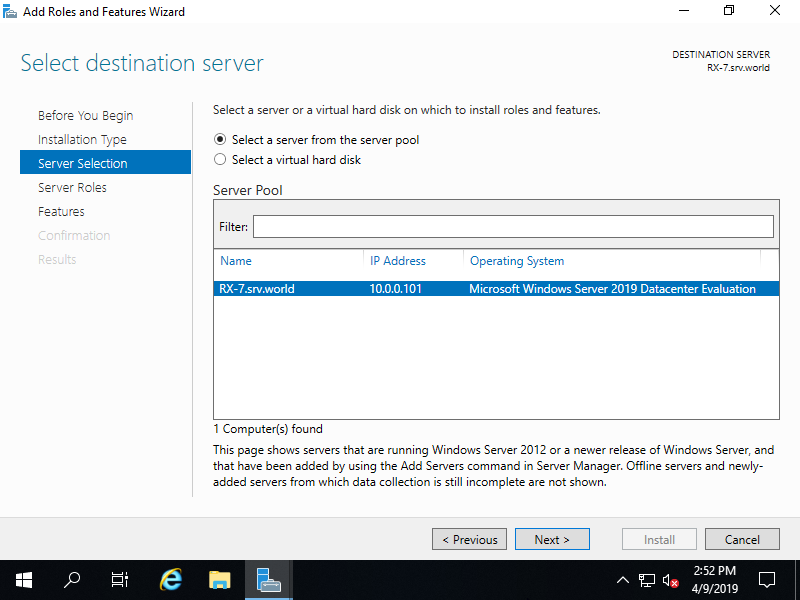 Run PowerShell with Admin Privilege and Install iSCSI Target Server. On GUI installation, Set like follows. 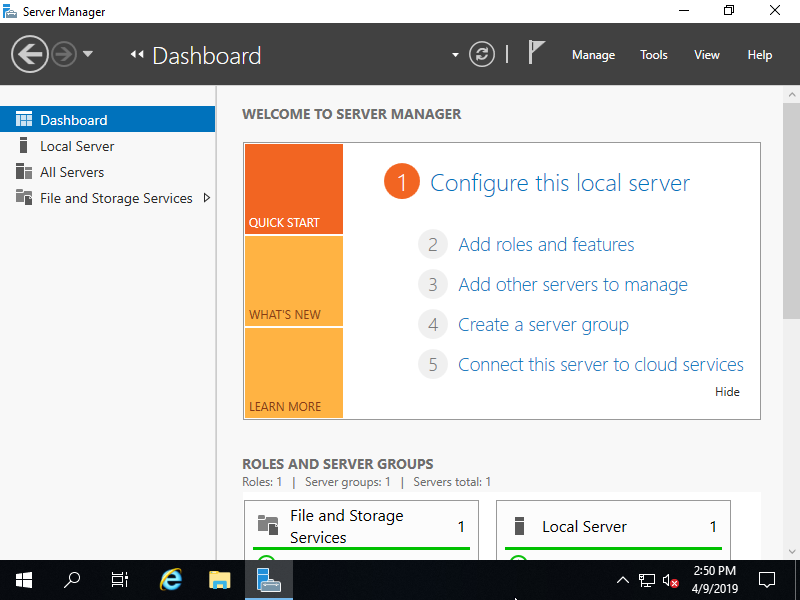 Run Server Manager and Click [Add roles and features]. 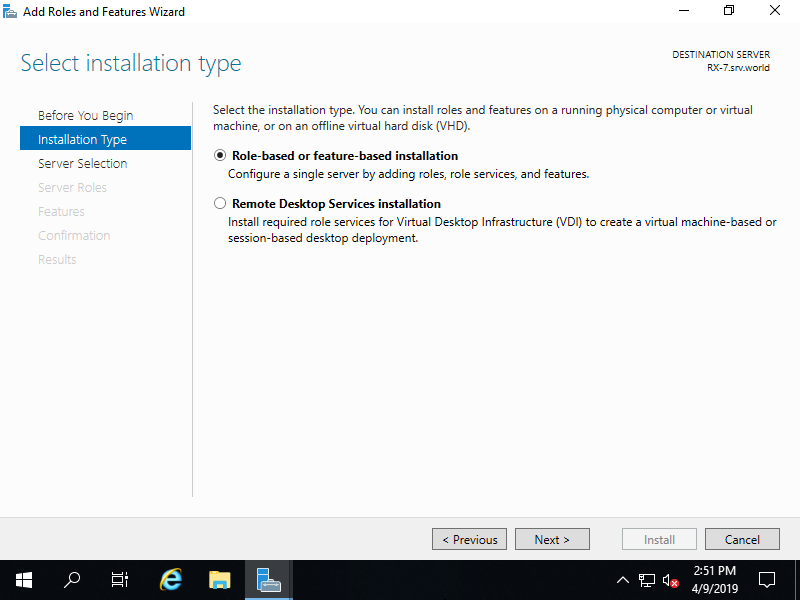 Select [Role-based or feature-based installation]. 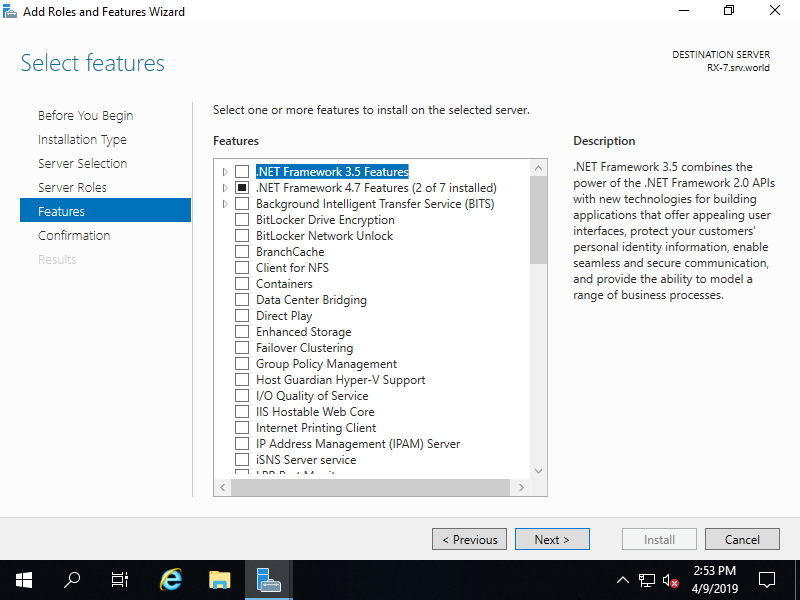 Select a Host which you'd like to add services. 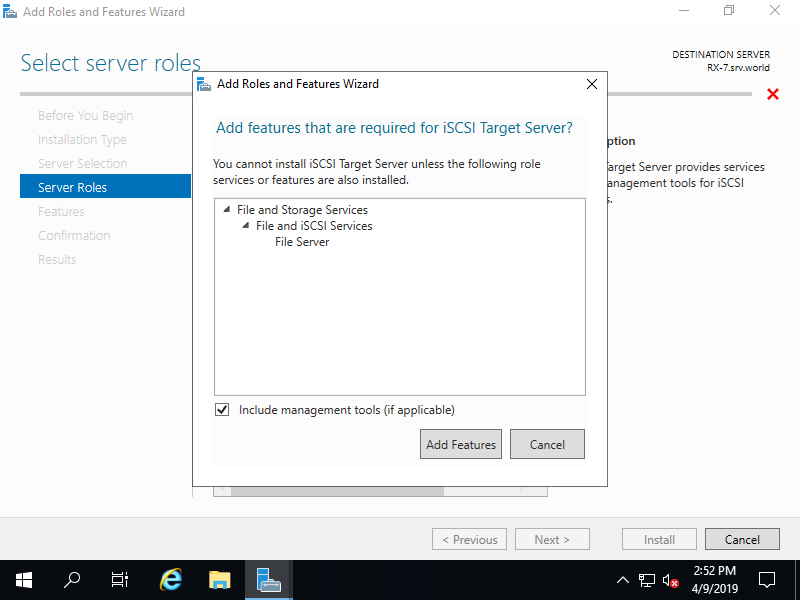 Check a box [iSCSI Target Server]. 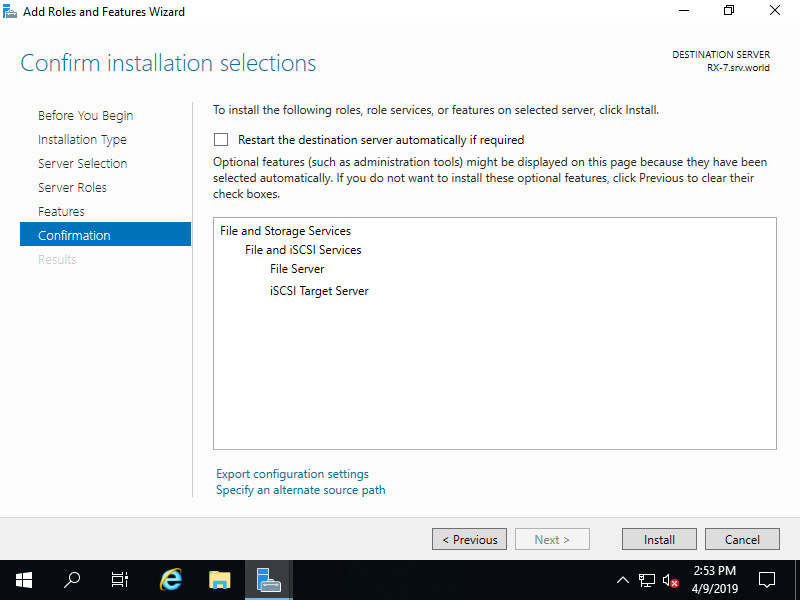 Addtional features are required to add iSCSI Target. Click [Add Features] button and proceed Next. After finishing installation, click [Close] button.